Triple puzzle fun! Three puzzle games in a single box is a real treat for puzzle lovers! 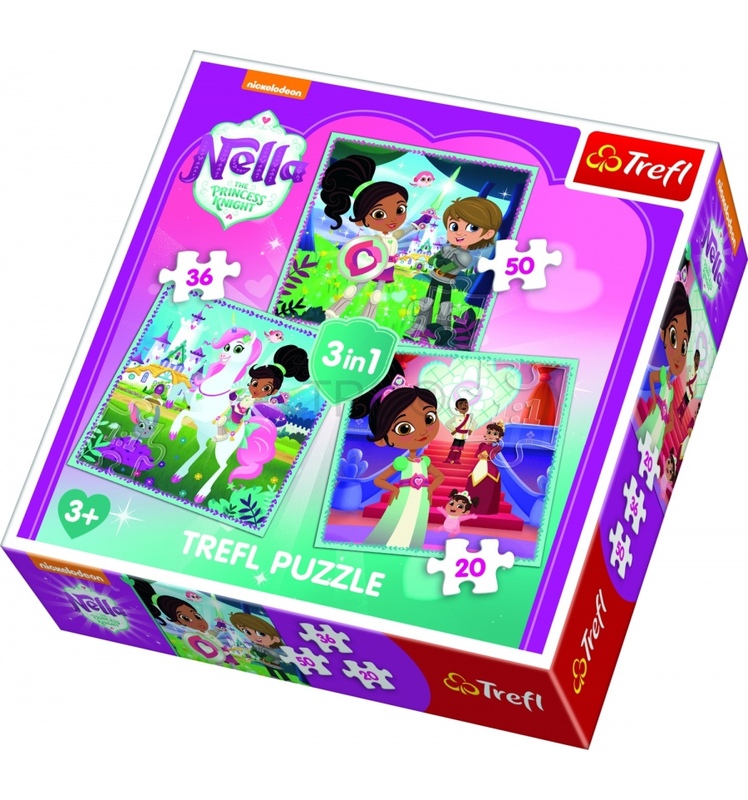 After arrangement of all the pieces, we get three images of different sizes each showing Nella the Princess Knight. The set perfectly meets the expectations of siblings - all will work out their own favourite image, even at the same time.